Norma jean Baker was raised in a series of foster homes. She later became a photographer’s model, which led to a small part in her first movie in 1948. She changed her name and from there her popularity steadily increased until she began to win starring roles in films such as Gentlemen Prefer Blondes (1953) and The Seven Year Itch (1955). Adored around the world, Monroe married and divorced baseball legend, Joe DiMaggio, in less than a year. She made her final film, The Misfits, which was written by another ex-husband, Arthur Miller, a year before her death from an overdose of sleeping pills. 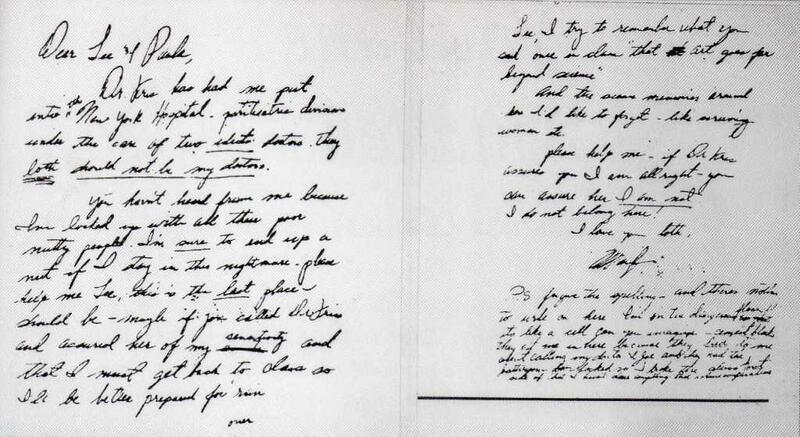 Apparently, this handwriting sample was written while Monroe was a psychiatric inpatient and this would affect her writing according to her emotional state at that time. Despite her obvious anxiety and frustration, the writing is fairly well organized, with a fair spatial arrangement on the page. The most disturbed area is the muddy pressure, which probably indicates some impairment in her moral judgment. From this it can be deduced that substance abuse would have been a likely outlet for her when the stress and pressure became too much. This sample is poignantly reminiscent of another icon who faced similar pressures and challenges during his lifetime, Elvis Presley. At the time of writing, Monroe was clearly trying to live up to an impossible image. This is evidenced by the large capital letters and personal pronoun, /, which both reveal an idealized sense of self that has subordinated the “real” self. The otherwise retraced upper zone also sometimes balloons into wide loops, an indicator of the sensitivity she tried to keep hidden from the world but which still pushed its way out. The writing is basically copybook style, so, underneath the glamour, Monroe was quite a conventional person. She felt most comfortable operating within familiar parameters, where she knew exactly what was expected of her. She would probably not have been particularly adventurous or creative. Monroe’s physical orientation can be seen in the thick, heavy strokes and in the long lower loops. She clearly had strong drives and needed to be physically active, while at the same time had the stamina and ability to endure hardships. While her natural preference was probably to jump in and get started with any particular activity, the tall upper zone suggests that she was also able to plan ahead when necessary. The overblown capital letters suggest an intense striving for achievement and recognition. Because the form of the writing is disturbed, we can conjecture that this striving was overcompensation for an ego that had been damaged early in life.